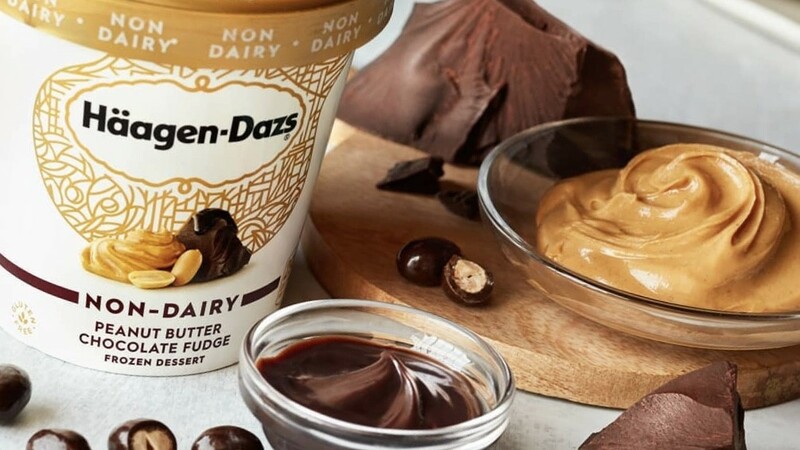 Food giant Häagen-Dazs is releasing a vegan ice cream infused with alcohol, following the skyrocketing demand for dairy alternatives. The company's new 'spirits' collection comes to stores in April and will be available in Häagen-Dazs scoop shops from next month. Häagen-Dazs brand manager, Rachel Jaiven, said: "The Spirits Collection was expertly crafted to offer new, extraordinary ways to indulge. Each flavor is perfect to pair with your favorite cocktail, elevate a boozy float, or simply enjoy on its own." Häagen-Dazs first brought out a vegan ice-cream back in 2017, with four different flavors: Peanut Butter Chocolate Fudge, Coconut Caramel, Chocolate Salted Fudge Truffle, and Mocha Chocolate Cookie. According to a report from Future Market Insights, the global plant-based ice cream industry will be worth a staggering $2.45 billion dollars by the end of 2027. The report states: "The global plant-based ice creams market is likely to experience rising growth opportunities due to an increasing lactose intolerant population and rising adoption of veganism.